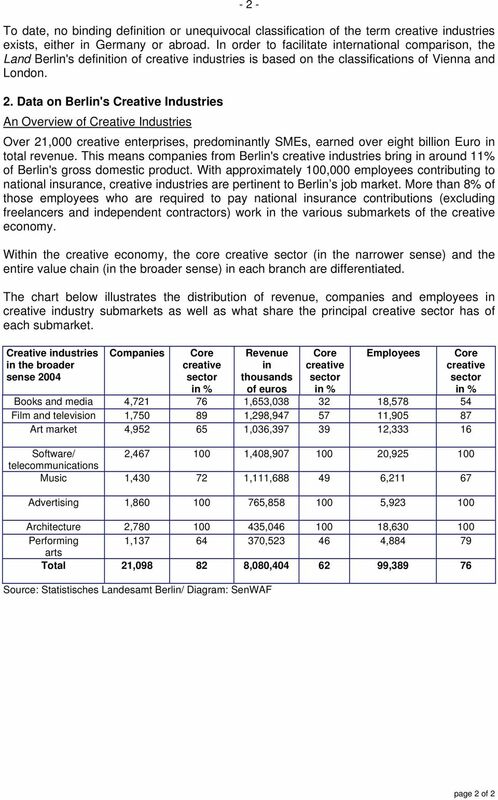 Download "The enterprises, self-employed businesspeople and institutions listed here are the chief protagonists in creative industries. art"
TTIP AND CULTURE. 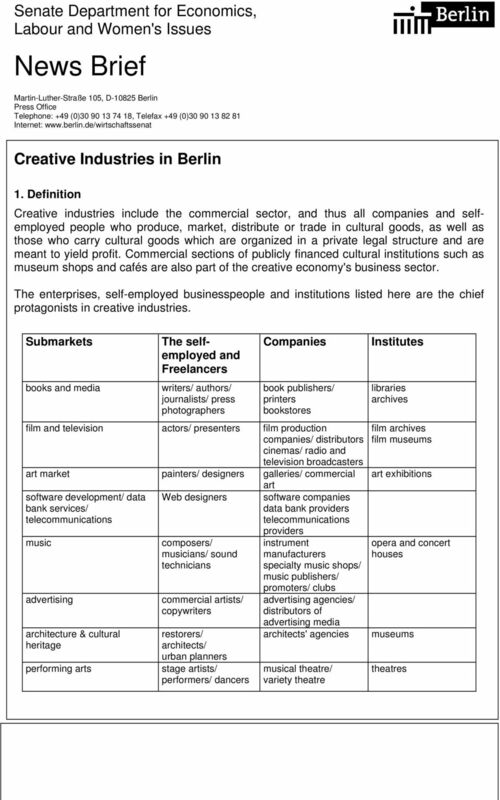 what are 'cultural sectors' from the trade perspective? how do trade talks deal with the so-called 'cultural exception'? 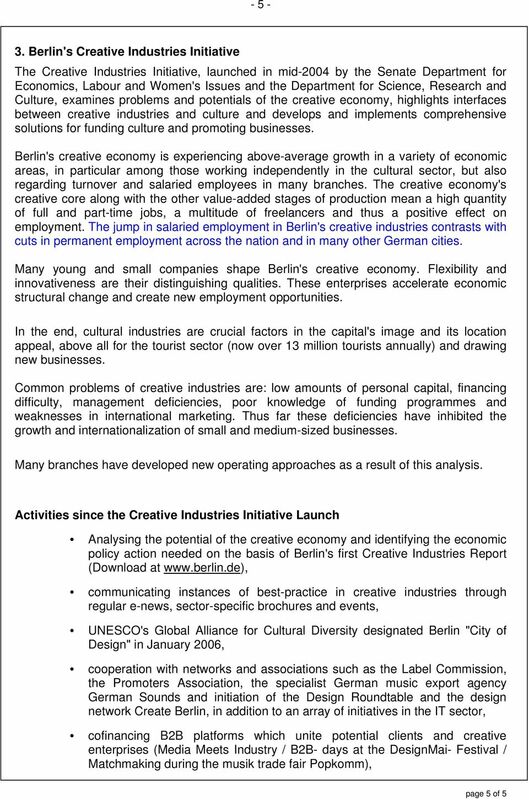 CREATIVE VITALIT Y Creative Vitality Index (CVI ) Report Metropolitan Nashville Arts Commission ATHENS OF THE SOUTH MUSIC CITY Nashville s nicknames speak to our clear history of cultural innovation. Contents 1. Working as an Audio & Video Recording Technician... 2 2. Skills, Education and Experience... 6 3. Finding Jobs... 7 4. Applying for a Job... 11 5. Getting Help from Industry Sources... 12 1. China The Artist s Place in Society The artist s place in society depends on his/her personal situation. He/she may need to resort to other forms of gainful employment, such as teaching or advertising. BROADCAST JOURNALISM: WHAT CAN I DO WITH THIS MAJOR? 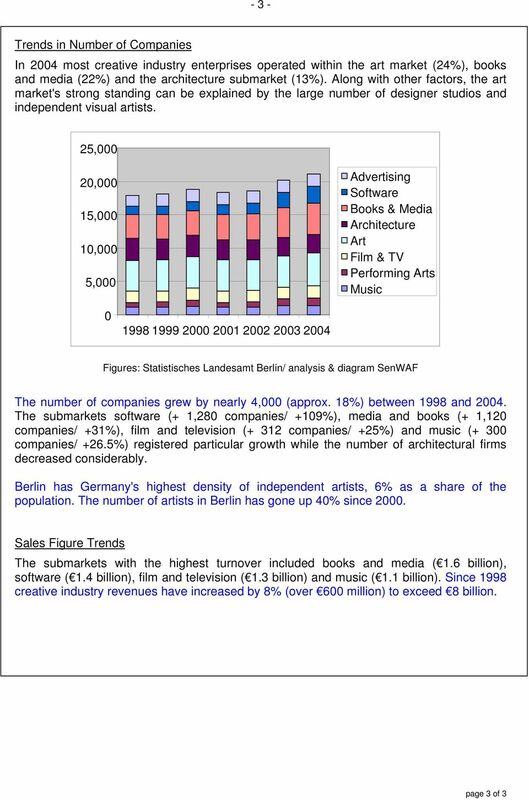 INFORMATION/LIBRARY SCIENCES What can I do with this degree? 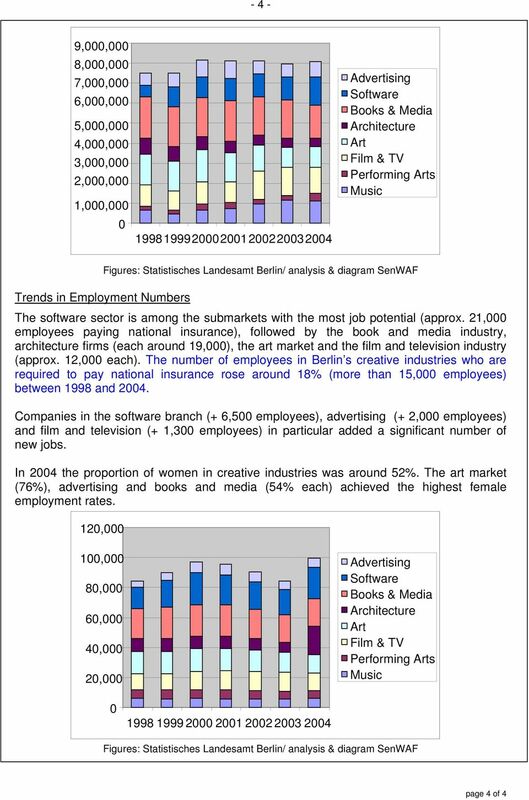 What Can I Do With A Major In Computer Art? 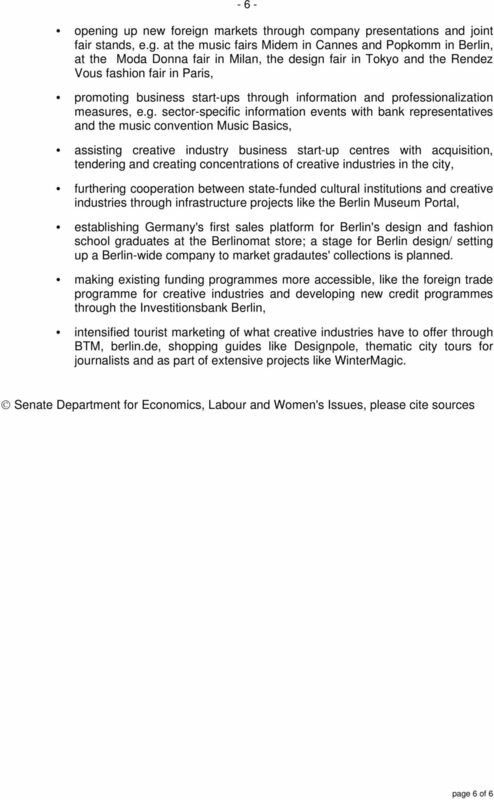 Productivity Commission Geographic Labour Mobility Ausfilm Submission 1. Introduction Ausfilm appreciates the opportunity to contribute to the Commission s investigation of Geographic Labour Mobility. The Board of Directors of Class Editori SpA met today and approved the consolidated results for the first three months of the year.